Are you wanting to purchase a brand new SATA SSD with the latest in 3D NAND technology, capacities up to 2TB and sequential speeds up to 560MB/s? 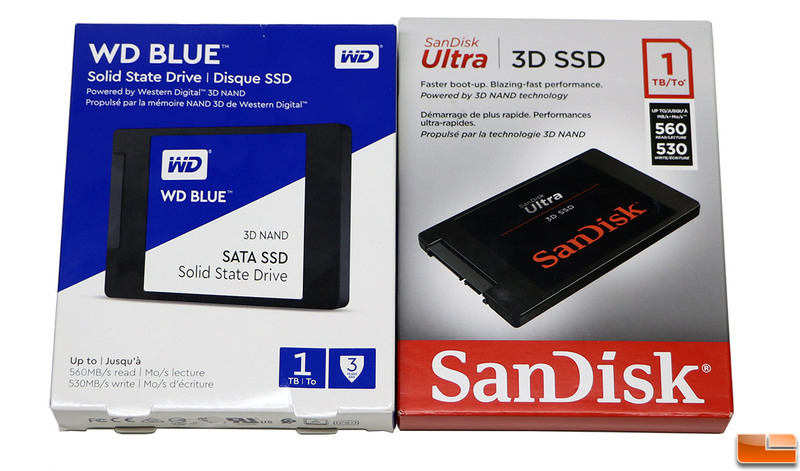 Look no further than the WD Blue 3D NAND and Sandisk Ultra 3D SSD series. These two series obviously have different brand names on them, but internally they are identical. Read on to see how they perform!